Early next year, NBC’s Celebrity Apprentice will return to television with a new host—former Governor Arnold Schwarzenegger, appropriately enough. 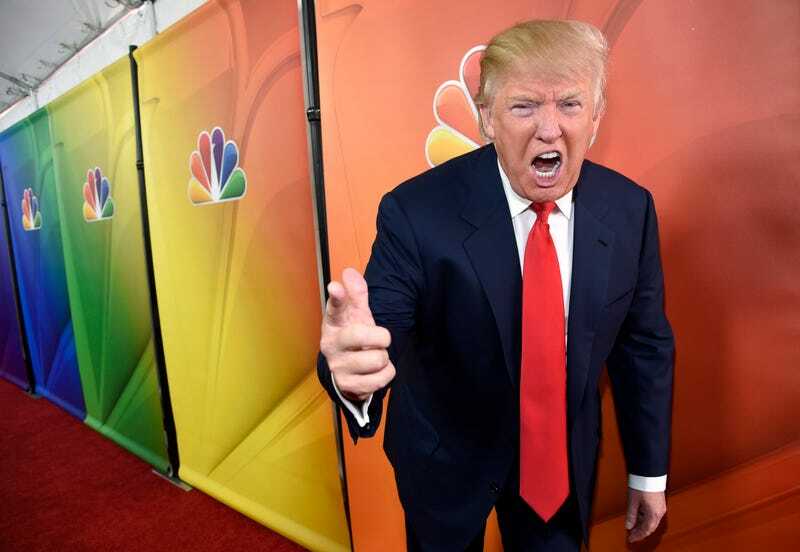 Donald Trump will retain his executive producer credit on the series, Variety reports, and will be paid through MGM, the show’s production firm. “The fact that a sitting president will be on the payroll of a current TV show is another example of the thicket of potential conflicts of interest raised by Trump’s segue from private businessman and TV star to commander-in-chief,” Variety notes, which doesn’t even begin to describe the horrific absurdity of this situation. Here’s the catch, though: Celebrity Apprentice is licensed from Mark Burnett’s United Artists Media Group and that relationship will continue.” And how! Apprentice creator Mark Burnett also remains an EP on the show. In October, he said in a statement that while he disavowed “the hatred, division and misogyny that has been a very unfortunate part of his campaign,” he refused to release possibly-compromising tapes or footage of Trump. On Tuesday, Burnett visited the president-elect at Trump Tower to discuss their ideas for his inauguration, including but not limited to a parade up Fifth Avenue or a dramatic helicopter ride from New York to Washington, D.C.